Business Valuation is the key to determining the value or worth of a business. In this fast-changing economic climate, every business needs to have an up-to-date business valuation on hand at all times. Even if your business was valued only a year ago, it probably won’t have the same value today as business values go up and down. Therefore, it has become imperative to keep a close track of business ‘value. Business Valuation gives the ability to owners to create a practical timeline for the potential sale of business and for other exit strategies. It provides a road map about how to adjust their short-term or long-term business goals and when to pull back in certain sectors or push forward in another. Business Valuation is basically an economic analysis of a company. Company provide financial information as key inputs into the process by deriving inputs mainly from the two financial statements income statement and balance sheet. As business owners have considerable discretion in how they use the business assets as well as what income and expenses they recognize, the company historical financial statements need to be adjusted. The aim is to construct an accurate relationship between the required business assets, expenses and the levels of business income assets are capable of producing. Therefore, for an accurate valuation of a business, 3-5 years of historical income statements and balance sheets need to be adjusted. Both the above methods work by comparing the subject company to similar company that are sold recently. Business valuation method under the market approach relies on pricing multiple which determines the relationship between business economic performance and its potential selling price. Pricing multiple are determined by the sales of businesses which closely resemble the business being valued. Statistical analysis of such actual business sale data is used to establish the business valuation Market comparable. Once the financial statements are carefully compiled and adjusted, the selected business valuation method should calculate accurate business value. Calculating the business value using several business valuation methods helps to cross-check your assumptions. After calculating the value from the selected valuation methods, we can make the decision of what the business is worth. This is called business value synthesis. As no valuation method provides the definitive answer, we can use results from different business valuation method available to form opinion of actual value or worth of business. 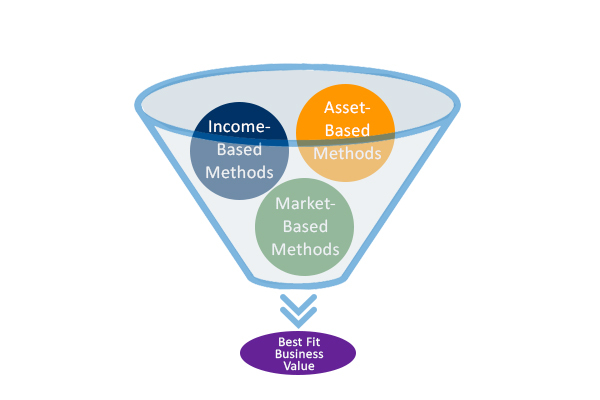 Different business valuation method produces different results, therefore concluding business value demands these differences to be reconciled. Deriving a business value conclusion requires using a weighing scheme for various business valuation methods. 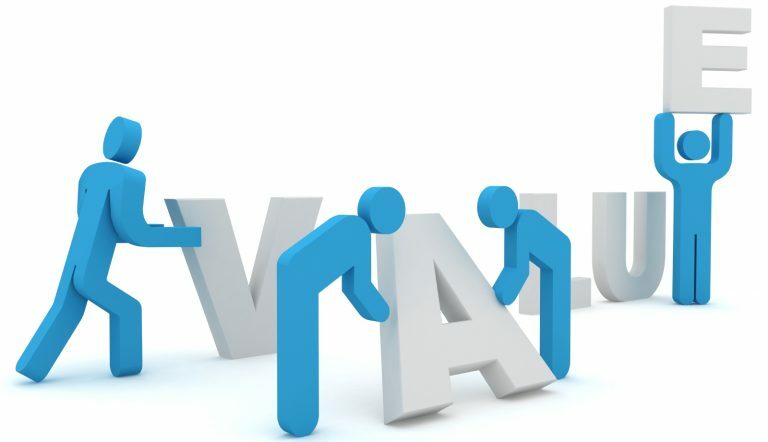 The weights assigned to the results of various business valuation methods serve to rank their relative importance in reaching the business value conclusion. Detailed business asset value data is available. Future business is expected to differ substantially. Relevant comparable business sale data is available. Minority(non-controlling) business ownership interest is being valued.